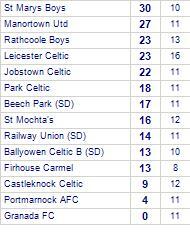 Castleknock Celtic's last game was a disappointing 6-4 loss away against Dalkey Utd (SD). 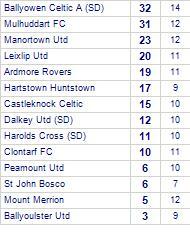 Mount Merrion's last result was a disappointing 4-2 loss away against Manortown Utd. 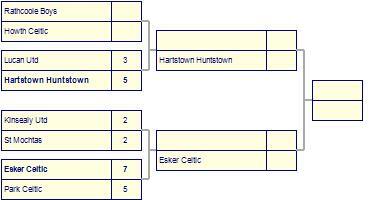 They have yet to win away from home. 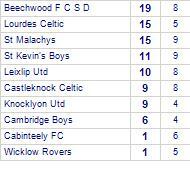 Lakelands FC sd lose to Castleknock Celtic. 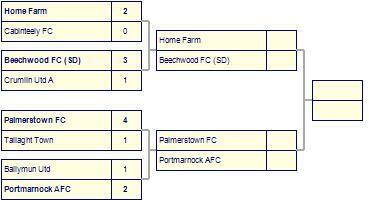 Castleknock Celtic are defeated by Drumcondra AFC. 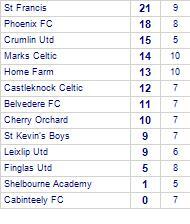 Phoenix FC beaten by Castleknock Celtic. 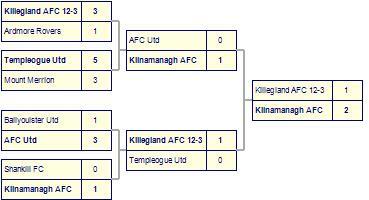 Bluebell/Knockmitten suffer defeat to Castleknock Celtic. 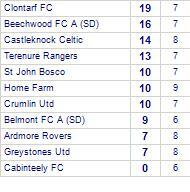 Castleknock Celtic has yet to be beaten in this competition, having won 5 out of its last 7 games. 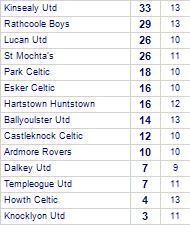 Castleknock Celtic beat Lucan Utd. 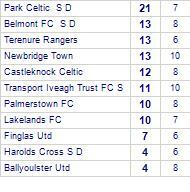 Dalkey Utd despatch Castleknock Celtic. 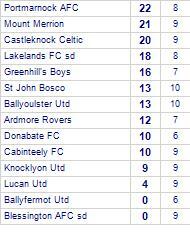 Castleknock Celtic suffer defeat to Rathcoole Boys. 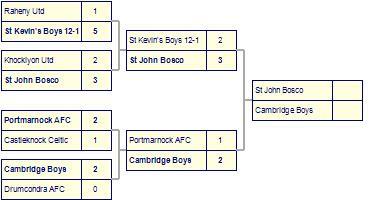 Castleknock Celtic lose to Rathcoole Boys. 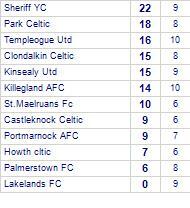 Castleknock Celtic take all points from Collinstown FC. 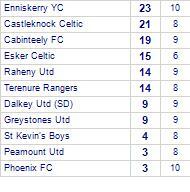 Phoenix FC beat Castleknock Celtic.